The Superior Iron Man is growing out of control and Pepper Potts was just barely able to thwart his efforts to buy his own media empire. 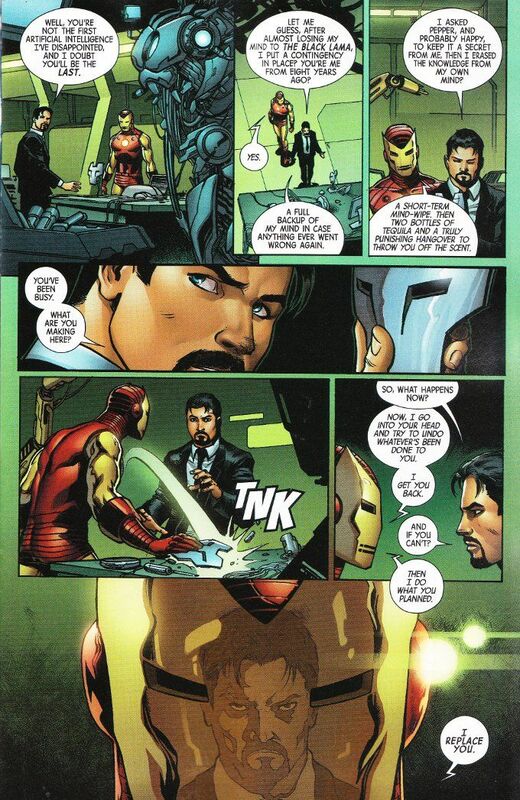 Now the new Tony Stark must face Pepper's ally - the old Tony Stark! Well, an old Iron Man suit containing an A.I. based on Tony's memories from eight years ago, created for just such an emergency... but close enough! It should be no surprise that this series continues to be a wonderful read. 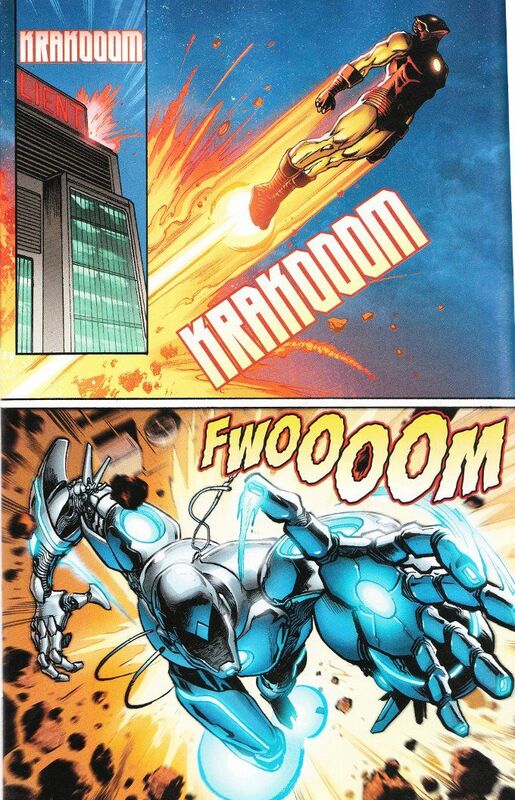 The action of the issue, featuring a battle between one of Tony's earliest suits and his latest digital symbiote suit, is a thrilling one. And the dialogue is filled with Taylor's trademarked witty banter. The artwork was finished by two separate teams but you'd never know it from how well the images fit together. Both Yildiray Cinar and Felipe Watanabe are to be commended for their pencils on this issue. The inks by Ruy Jose and Cinar are also excellent as are the colors by Guru-FX.